This on-the-go two-way communication system was built with flexibility in mind. Each device is a transceiver—which means it both transmits and receives audio communication. Creating a group of transceivers is simple! With the tap of a button, ListenTALK devices can be paired on the fly and multiple groups can be created in a matter of seconds. While on a tour, all you have to do is press the Talk button if you want to…talk! If you’re a tour leader, the only reason you’ll need to press the Talk button is to mute yourself. Pretty easy, right? With a simple setup, you get an innovative communication solution that ensures everyone can come on your adventure with you. Backstage tours are nothing new at Hale Center Theatre, but you haven’t seen them like this before. Last year, Hale Center Theatre built a brand-new, state-of-the-art venue. This beautiful building is unlike anything else in the Salt Lake Valley, and officials needed a communication system that matched the impressive structure. Quinn Dietlein, Hale Center Theatre’s development director and annual giving manager, obtained ListenTALK specifically for backstage tours but has incorporated “all sorts of fun multimedia uses,” thanks to its versatility. Hundreds of people are going on these tours every week, and hundreds of people are walking away impressed with the new theater…and ListenTALK! Remember Quinn from the paragraph above? Well, not only is Quinn a director, he’s a performer. Each tour he takes through the theater has a different flare. Upon meeting his tour group, he learns about participant’s interests and uses that information to tell a personalized story for each group as he takes them through the theater. His tours are as entertaining as the plays he acts in, but one thing is for sure: Quinn is talking all day long. The first time Quinn used ListenTALK for a tour, his excitement was palpable. No longer was he raising his voice, walking backward, or trying to reach every guest. With ListenTALK, guests are participating more, asking more questions, and staying engaged. Now, Quinn speaks normally, and his participants are able to catch the nuances of his personalized tours. Hale Center Theatre discovered it last year: ListenTALK creates an environment of inclusion and is the perfect tour solution. It’s easy to use for every kind of tour and everyone who uses it, loves it. Are you ready to try ListenTALK? Call (888) 296-1623 or go to https://www.listentalk.com to get started with your free demo kit today. If you think you know IR, think again. ListenIR sounds more like RF. Case in point: a Consultant just stopped by booth #959 for a chat with Cory Schaeffer and Peter Papageorge. As one who is devoted to RF products, this Consultant was a bit doubtful of our claims, but we switched on the LT-84 Transmitter/Radiator, had him take a little walkabout with one of our iDSP IR receivers, and then showed him the iDSP software suite and he was convinced. ListenIR offers an unparalleled IR experience. Stay tuned for more updates from InfoComm 2015! 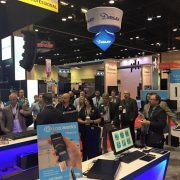 Blog from the Booth: The Hottest Spot at InfoComm 2015! It looks like booth #959 is the hottest spot for Wi-Fi at InfoComm this year. ListenWiFi was heating up the Listen Technologies booth all day, with overheard comments like, “If it’s from Russ Gentner, I know it’s a quality product.” ListenWiFi is a professional, industrial grade product designed and manufactured by Listen Technologies, so that guy definitely knows what he’s talking about. Also on deck: a tour of the Amway Center using Listen Technologies tour group equipment. When asked if the Listen Technologies tour group equipment provided a great audio experience, many tour attendees reported that it was fantastic. Stay tuned for more updates from booth #959 at InfoComm 2015! Blog from the Booth: Live from InfoComm 2015! Wednesday kicked off the first day of InfoComm 2015 and Listen Technologies is kicking it at booth #959 in innovative style. This year, the booth is featuring new ListenIR, ListenWiFi, Loopworks, and many other amazing assistive listening and conference products. ListenWiFi is generating a ton of interest from various markets. 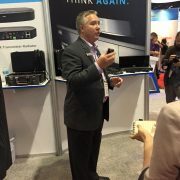 In other words, booth #959 is the hottest spot for Wi-Fi products at InfoComm. Stop by to check them out! ListenIR literally had pigs flying. Why? Because Listen Technologies, CEO, Russ Gentner said that if we could create IR that sounded more like RF, pigs would fly. Stay tuned for more updates from Booth #959 and Listen Technologies, live at InfoComm 2015. What happens in Orlando, won’t stay in Orlando! Since starting my career, I’ve been given many incredible opportunities and I often feel like the luckiest woman on the planet. 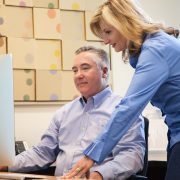 I have had the privilege of building a great company with great partners and a superior suite of product solutions that makes a difference for many with hearing loss. I have been part of a talented team within Listen Technologies, a company that truly has passion for what we do every day in a fun and vibrant industry. I have enjoyed my time at Listen Technologies greatly. I have worked with the best representatives in the industry, including a supportive dealer channel and a group of talented consultants, all of whom, gave me, as well as others within Listen, the opportunity to build a successful business. I’ve learned from my partners, Russell Gentner, Keldon Paxman and Kelli Lundgren that you can be partners and friends because we’ve been just that for nearly thirty years. I’ve made new friends with the talent housed within the walls of Listen Technologies and I continue to be enriched by my relationships. Now, I have more opportunities ahead of me. At this year’s InfoComm, I’ll be working the Listen Technologies booth and I won’t be saying “goodbye” rather, I’ll be saying “see you later.” I have decided to change roles and I will be transitioning out of Listen Technologies day-to-day, however not my ownership and board of Directors position, as I join the team at AMX on July 6th. My support of Listen Technologies will never leave me. I’m just ready for my next chapter. 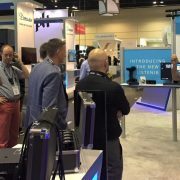 Listen Technologies is growing and our new iDSP systems are something you’ll want to see and hear during your time in Orlando. Come by and let me get these on your ears! See you there! Let’s face it. Other than parents, teachers have the greatest influence over children, so it is essential that students hear well in the classroom. That’s why we released ListenPoint 2.0, our latest Soundfield solution—we wanted to make learning limitless. Students learn best in environments where they can focus on what their teachers are saying. Unfortunately, several factors can get in the way. 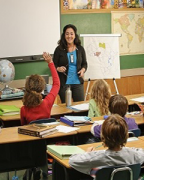 Some students have trouble focusing because they have hearing loss or are too far away from the teacher. Meanwhile, the classroom itself might have poor acoustics, or the teacher could have a strained voice from talking too loudly or too long. With mission critical deployments, it is the most advanced, flexible, scalable Soundfield system delivered by a trusted authority in the pro-AV market. It incorporates AV technology and assistive listening systems to create enhanced and enriched learning environments for all students. It is easy to install, operate, maintain, and adds more functionality over time. It couples competitive pricing with advanced features. We are truly excited to be part of a noble mission—educating students to become extraordinary people. In November 2013, Audiologist and Chair of the Loop Utah Movement, Dr. Anne Lobdell had a Hearing Loop Installed in her office. Listen to her discuss the experience, as well as why she decided to join the Loop Utah Movement in the video below. 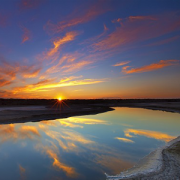 Reflecting on the past year and looking forward to the next can be a worthwhile endeavor. Not only should you celebrate the positive things that happened, you can also learn what to improve upon for success in the future. Between MultiLoop™ Drivers, the next generation of Wireless Conferencing, and ListenPoint Control Listen launched some exciting products in 2013 and we loved every minute of it. MultiLoop™ Driver series is the new benchmark range for professional phased array Hearing Loops, requiring only a single 19” rack mount unit. Next generation of Wireless Conferencing includes Voice Activation (VOX) as a new feature and new algorithms for RF signal handling with Advanced Transmission Mode (ATM) capabilities. New third-party control features for ListenPoint allows teachers and presenters to focus on what’s important – engaging the audience and presenting an impactful message. When the opportunity presents itself to work with incredibly talented people, it’s always wise to take it. In 2013, Listen did just that by promoting Tracy Bathurst and adding Maile Keone to the executive team. Tracy Bathurst was promoted within Listen as the Vice President of Product Development and Product Management. We’re excited to have Tracy assume this critical role and drive Listen’s growth and success of our new product lines. The future is bright for our customers. With these two new members of the executive team, as well as a few new talents in the office, Listen is poised to soar to new heights of success. Listen has a unique passion and deep understanding of the importance of sound and the difference it makes to our experiences. Our passion is coupled with a heightened awareness of the staggering number of people with hearing loss and their rights to be accommodated in public venues. Our passion and awareness was fueled in 2013 by our experiences in engaging with groups like the Hearing Loss Association of America (HLAA) and experts in the audiology, architecture, AV consultants, AV integrator, and venue manager communities. There is a shift in the conversation and a growing awareness about Assistive Listening and Legislative Compliance; and we’re excited to be the trusted authority on both topics. Assistive Listening and legislative compliance were hot topics for presentations at InfoComm, HLAA chapter meetings, and regional conferences. Toolkits with Assistive Listening, hearing loss advocacy and legislative compliance resources were developed for venues andadvocates. 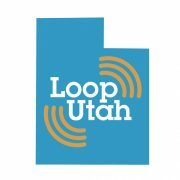 Listen joined the Loop America movement by participating on the steering committee for the Loop Utah Movement and kicking-off the movement at the Deaf & Hard of Hearing Festival. Over 200 architects, consultants and AV integration systems professionals were trained and certified on the integration and commissioning of Hearing Loop systems to meet the high standards of the IEC 60118-4:2006 specification. 2013 garnered many high-profile Hearing Loop installations like the one that was installed at the Gershwin Theater in New York City. 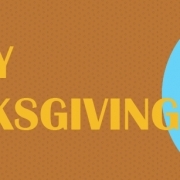 Listen plans to build on the momentum created in 2013 by sharing more information with even larger and varied audiences in 2014. You know what they say: knowledge is power! We wish you all a Happy New Year. May 2014 bring us innovative ideas, the drive and ambition to pursue them, and the success & health to enjoy them. RIVERTON — Shouts of “Santa!” from a few students and excited gestures from many others greeted the jolly old elf as he jingled his way into the classroom. Santa Claus had an impromptu dance party in the middle of the classroom with Shale Peck, 20, who grinned ear to ear while jumping and waving his arms above his head. 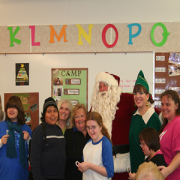 Throughout Tuesday, Santa and his elf visited the 180 students with severe multiple disabilities at the Kauri Sue Hamilton School. Parker Overtin, 16, bonded with Santa over Godzilla and said “cheese” for a picture. And Macey Mortensen, 13, eagerly raised her hand every other minute until it was finally her turn to sit by Santa and get a candy cane. Though most of the students, ages 5 to 22, couldn’t communicate with words, their faces brightened and some smiled as Santa called them by name and spent time with them. What the children and most of the school staff didn’t know was that Santa had a secret helper “whispering” in his ear. A school employee stood nearby, feeding Santa names and unique traits of the students to create a personal connection. The magic was provided by Listen Technologies, a company that provides assistive listening solutions, such as audio devices for performances at Abravanel Hall. “A lot of them can’t communicate, but you can see in their faces that just the fact that Santa knows their name and says something about them, that’s more personal. It’s a really moving thing to witness,” said Kristin Rector, director of marketing services for Listen Technologies. The company has gotten creative and found some nontraditional applications for its technology, such as helping Santa get to know students individually. “A lot of times you think technology disconnects people, and so this is a way that it really makes a connection for people in a real, personal way,” Rector said. She praised the dedication and devotion the 50 school staff members provide daily to the students. Many of the students can’t go to the mall and wait in line to see Santa. Because of disabilities such as autism and cerebral palsy, it’s challenging for families to take their children, and the experience is overwhelming and overstimulating for some. Last year, Brooks Gibbs of Listen Technologies had the idea to offer himself as Santa for a visit to the school. He said it’s his favorite day of the year. Gibbs hummed “It’s Beginning to Look a Lot Like Christmas” as he went from classroom to classroom, visiting the students to spend some time, take a photo and give them a candy cane. Santa and his elf agreed that the best part is watching the students’ faces light up and seeing their energy and excitement.